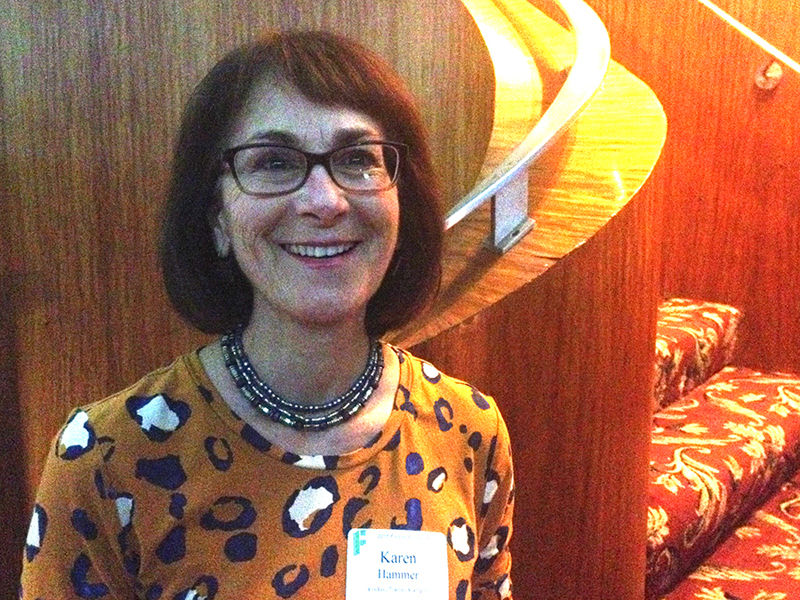 Our March volunteer in the spotlight, Karen Hammer, is a world traveler, a yoga aficionado, a ballroom dancer, a gypsy, a hiker, and an adventure seeker who’s not afraid to get burned–even if there’s only popcorn involved. Occupation: Karen teaches Spanish for the local community college district. She works at the Clovis Community College Center, and the New Jersey native has been a Spanish teacher for 25 years–16 of which she has spent in the Fresno area. Although she is not Latina, Karen’s friends call her a “Latina wannabe,” getting into Spanish fairly late in life in an indirect way. Filmworks thanks all of our March 2015 volunteers: Rita Bell, Leslie Bjerke, Lorna Bonyhadi, Richard Flores, Megan Ginise (intern), Karen Hammer, Neal Howard, Sarah Nixon, Carolyn Nolan, Andrew Ranta, Susan Rogers, Brijesh Sharma, Joan Sharma, Lorraine Tomerlin, and Jon Veinberg.